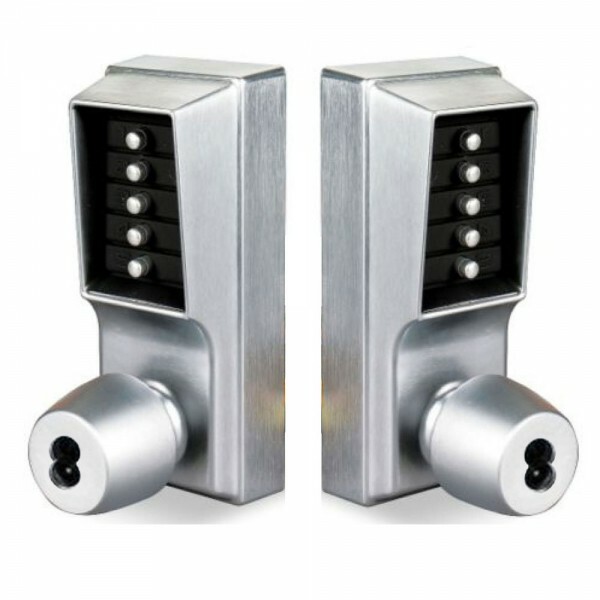 The Simplex EE1000 Series provides interior and exterior access by combination. 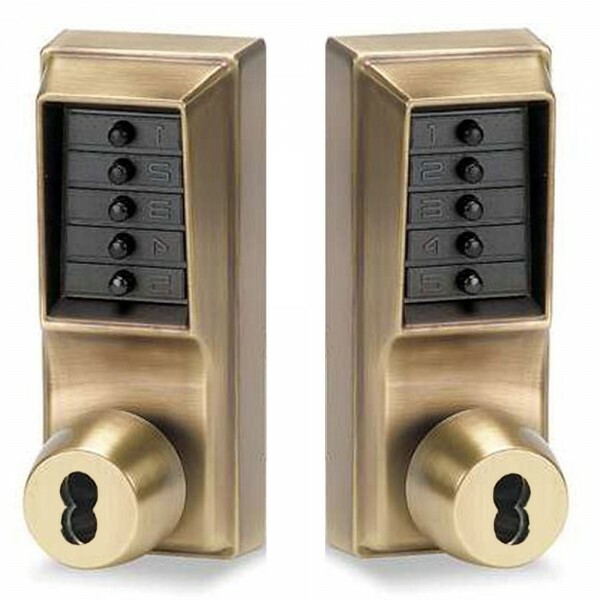 This mechanical lock, with knob option, eliminates the material and labor expense of battery replacements, has a single access-code and is programmed via the keypad without removing the lock from the door. The Simplex EE1021 is a back to back model allows for combination entry and key override on both the exterior and interior. The locks are not supplied with the cores.